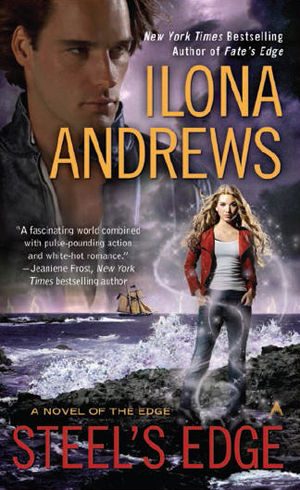 Ilona Andrews creates worlds I continue to day dream about even after I finish the last page. Every character is a thought out and well planned creation that fits wonderfully into this incredible fantasy world. I will admit that like my Urban Fantasy with strong plot lines and epic world building. Steel’s Edge surpasses my expectations. Charlotte fights a darkness within her while battling the atrocious Slavers dealing in humans. The subtle chemistry between Charlotte and Richard is a beautiful thing that grown and intensifies throughout the book. During this evolution they fight for a better cause trying to obtain justice for their own reasons. All in all a great read with such depth it begs you to loose yourself within the pages. I give Steel’s Edge 5 out of 5 Bullets! I personally purchased Steel’s Edge in ebook format and received no compensation for this review.